Announced a few months ago, Netflix finally presents information and trailers for the second season of the animated series She-Ra and the Princesses of Power. Produced and animated by DreamWorks TV, the series is ispired to two legendary 1980s animated series: He-Man and its spin-off She-Ra, with brother and sister as main characters. 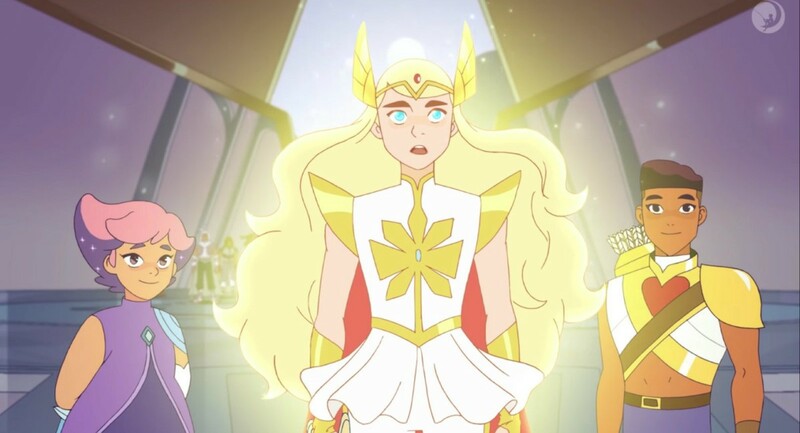 In the new episodes Adora is finally beginning to accept her destiny as the legendary warrior princess, She-Ra, and leader of the Princess Rebellion. Still, there is much to learn as the threat of the Horde grows and Catra sinks deeper into the world of evil. The 13 episodes first season was released last November. Season 2 of She-Ra and the Princesses of Power begins streaming on Netflix, April 26th.